Anybody who knows me knows that I LOVE Istanbul. Maybe it's because it was the first place I traveled to on my own, the charm of the Turkish people, the friendly aura of the city, the sound of the simit sellers, the smell of balik ekmek wafting from the restaurants next to the ferry docks, or the fact that you can sail from one continent to another in just twenty minutes, all while admiring the city's historic skyline. In the past three and a half years, I've visited this city eleven times, and each and every time I leave it, my heart aches. Istanbul has belonged to many different civilizations of people over the years, but when I'm there, I feel as if it belongs to me. 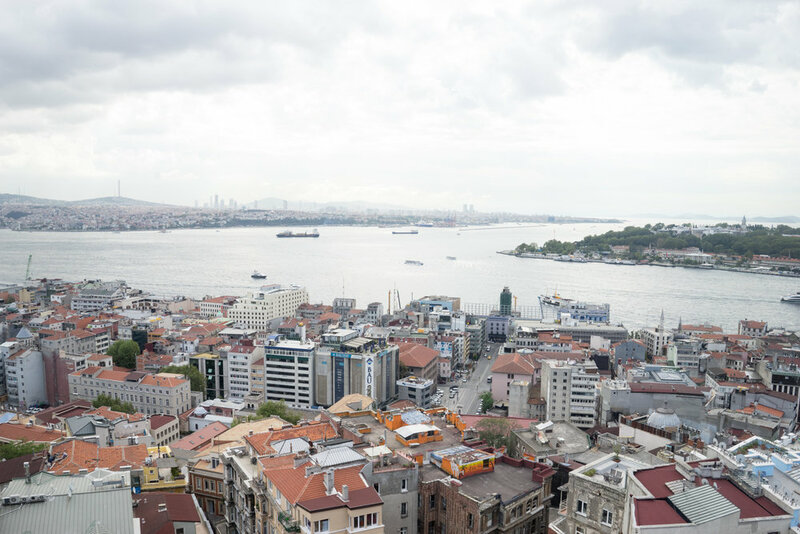 And so I present a photo tour of my favorite city east of the Atlantic: Istanbul, Turkey. 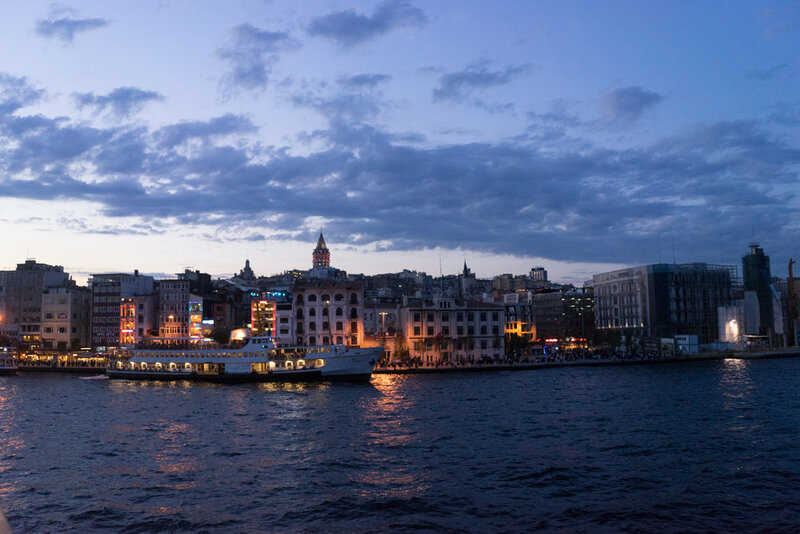 In Istanbul you can move from Asia to Europe in less than a half hour. Here's a shot from the approach into Europe. A ferry on the Bosphorus letting off some steam. One of the many mosques of city. Sunset around the famous, Sultanahmet neighborhood. Another day at the docks. 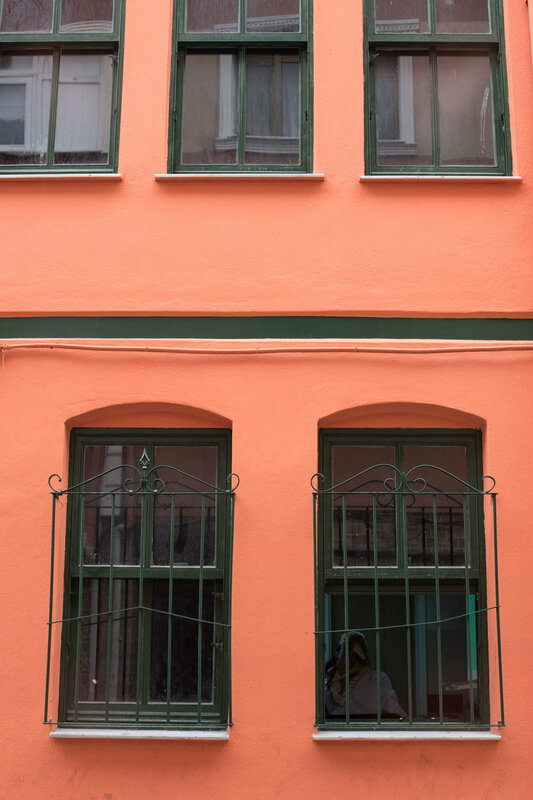 Fener/Balat is one of Istanbul's more conservative areas, also filled with colorful houses. Looking into a school house in Balat. Even the doors and windows are splashed with color. This past summer my friend, mom and I stayed at a very unique, restored, old house in Fener called The Turquoise House. 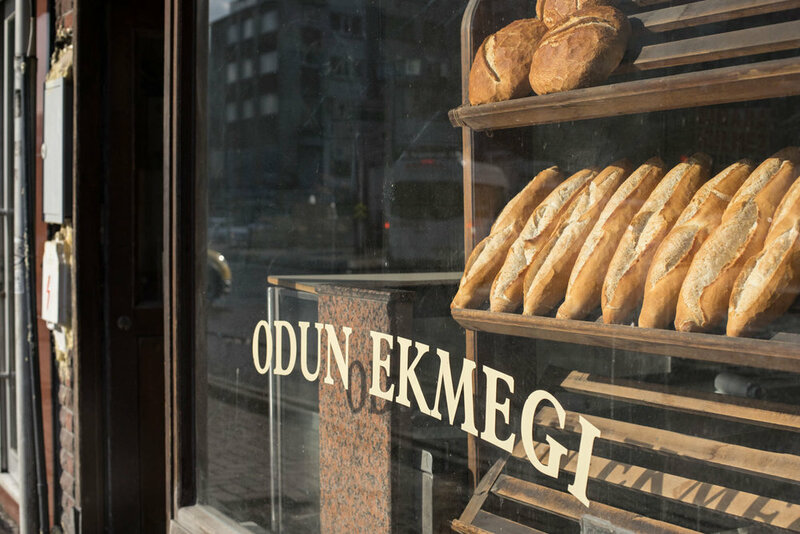 Whether it be lunch, breakfast, or dinner, ekemek (bread) is an important part of every Turkish meal. 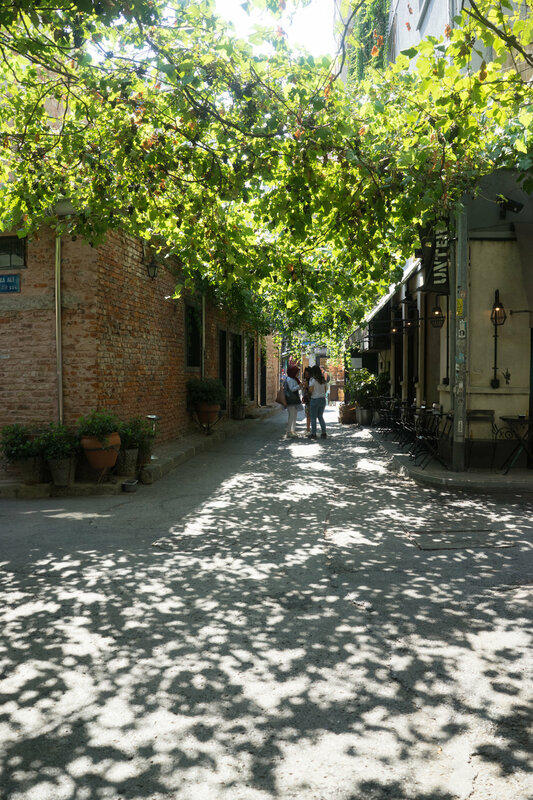 This ancient city is filled with ancient wooden houses. A nice Turkish man giving me the evil eye to ward away bad spirits! Just kidding. Not sure how this car even got here. Spotted in Beyoğlu. A sad, abandoned simit stand in the backstreets of Kadiköy. I don't know how the men in Istanbul make money when all they seem to do is sit on these miniature stools and drink tea all day! Sultanahmet mosque on a quiet winter night. Strolling the Sultanahment neighborhood in January. A summer sunset on the ferry from Asia to Europe. 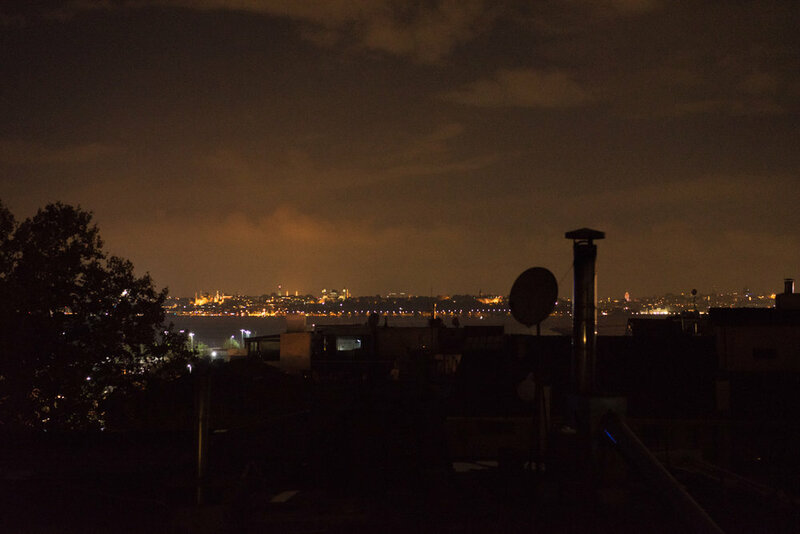 Rooftop view looking across the Bosphorus from Kadikoy, my favorite neighborhood on the Asian side. Back in Europe in Ortaköy, a neighborhood next to the Bosphorus Bridge. The ice cream men, all selling the same product, ready to pounce on unsuspecting tourists looking for a sweet treat. 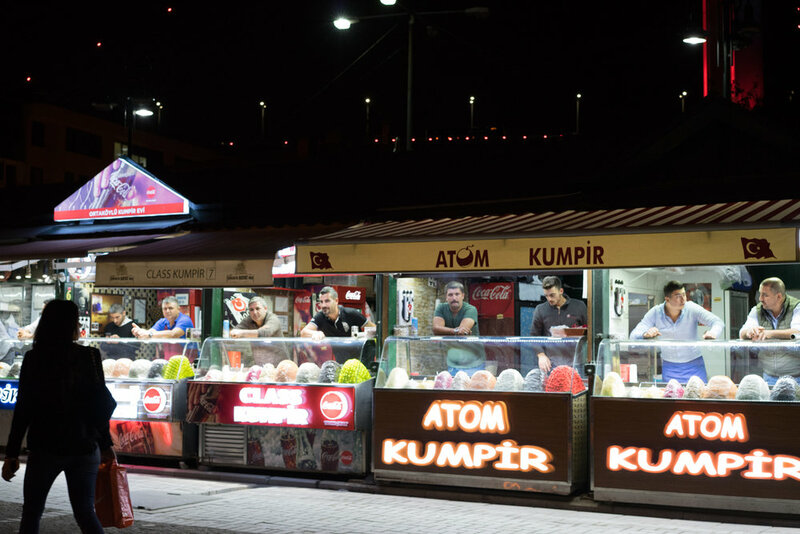 A typical scene at a doner place in the Galata neighborhood. Amateur street art in Beşiktaş, a neighborhood popular for university students and young people. Three and a half years ago nothing was in this neighborhood. 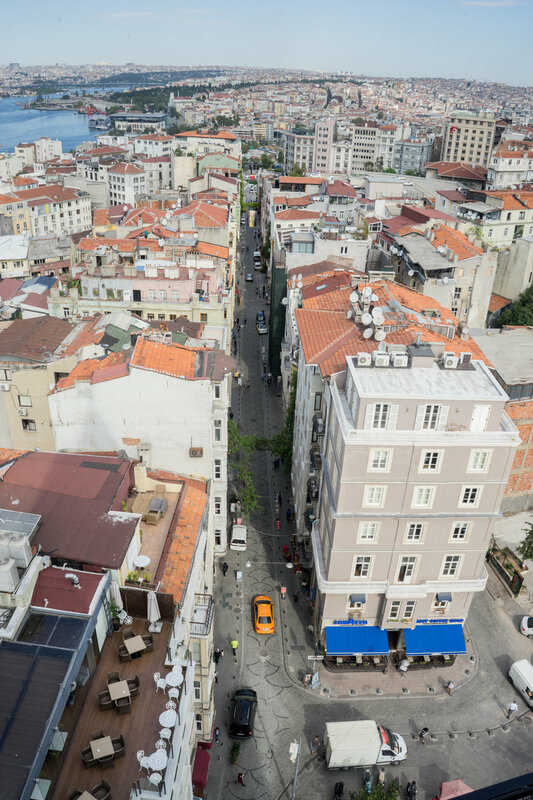 Now Karaköy is filled with dozens of cafes in a 4 block radius, all of which are always busy. 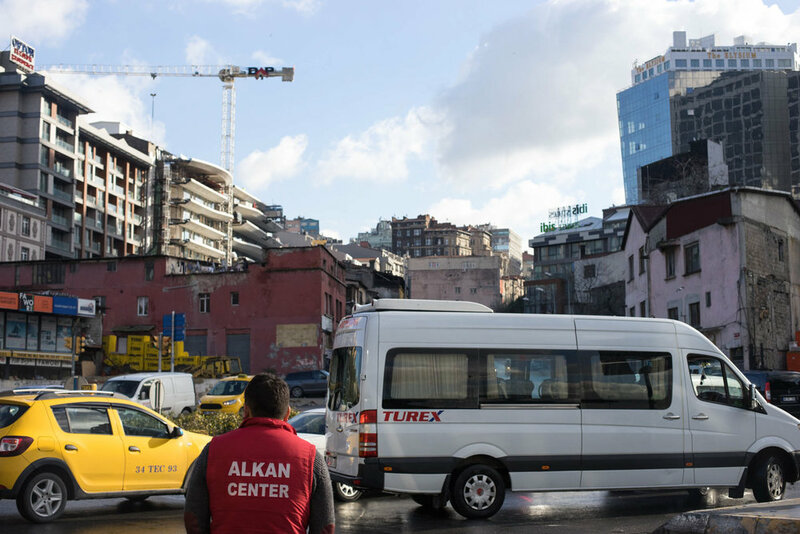 A strange scene of dilapidated can and tea makers in Kadiköy. 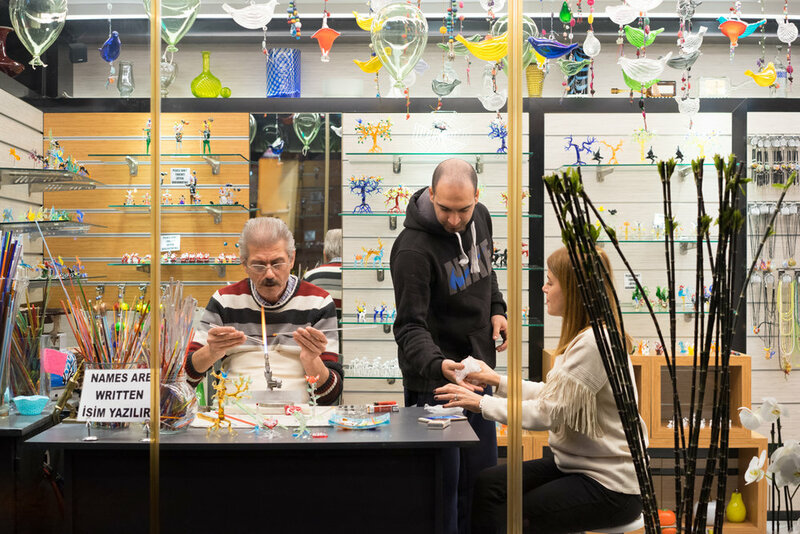 There is also a plethora of coffee shops over in Kadiköy. A strawberry smoothie at the cafe downstairs from World House Hostel in Galata, where I stayed for several nights this summer. Balloon dark game set up on the Moda Seaside pathway in Kadiköy. 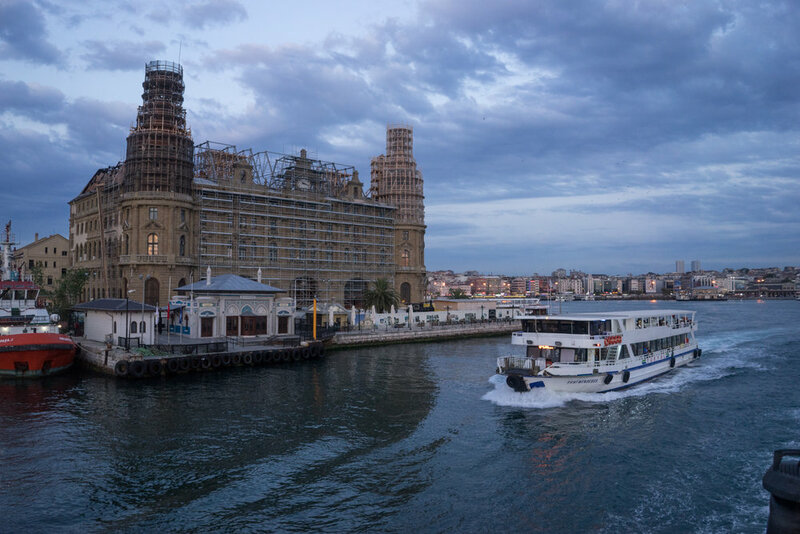 The old Haydarpaşa train station, where the national rail lines terminated up until its closing in 2012. Don't let this photo deceive you, the ferries are normally packed to the brim. Does the beauty of a large stone building ever make you cry? Oh, that's just me. 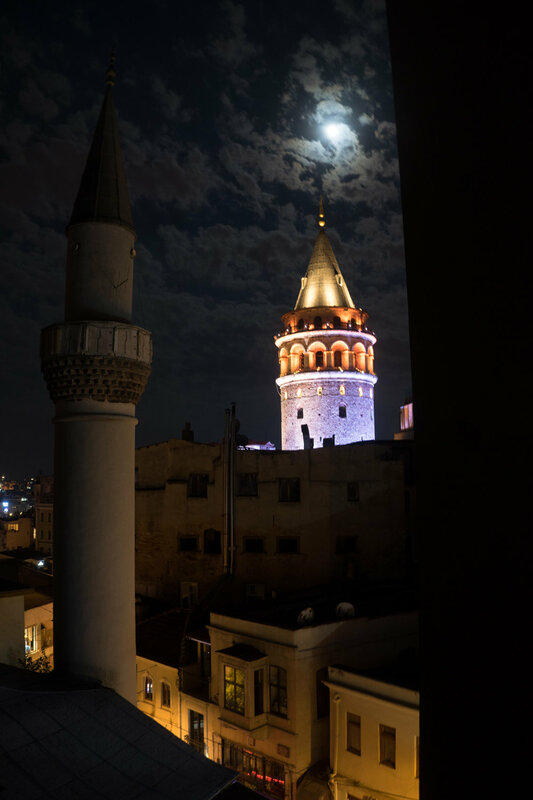 After eleven trips to Istanbul, I finally made it to the top of the Galata Tower. I love looking down at life below. Nobody ever notices you watching from so high above them. The cafe at the top of the tower. Make sure to go before noon to avoid the crowds. This man was sitting under the tower all morning. Another great vantage point of my favorite building in Istanbul. 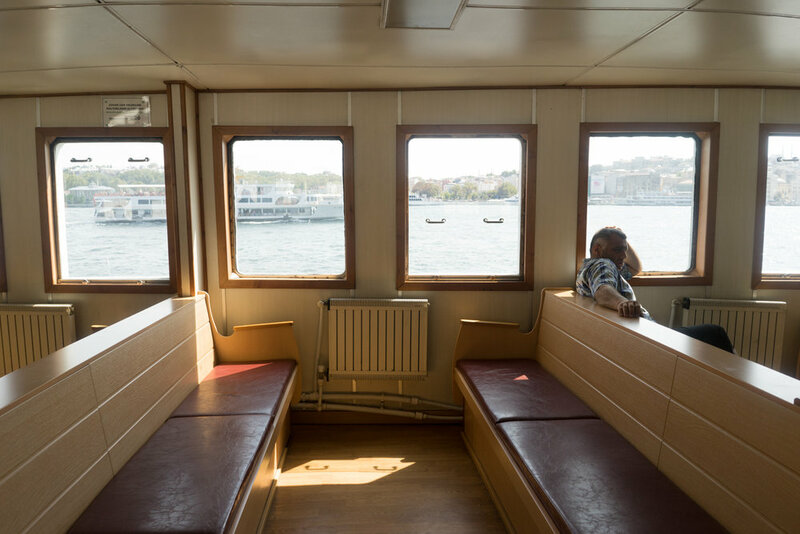 One last ferry shot, coming into Karaköy on the European side. 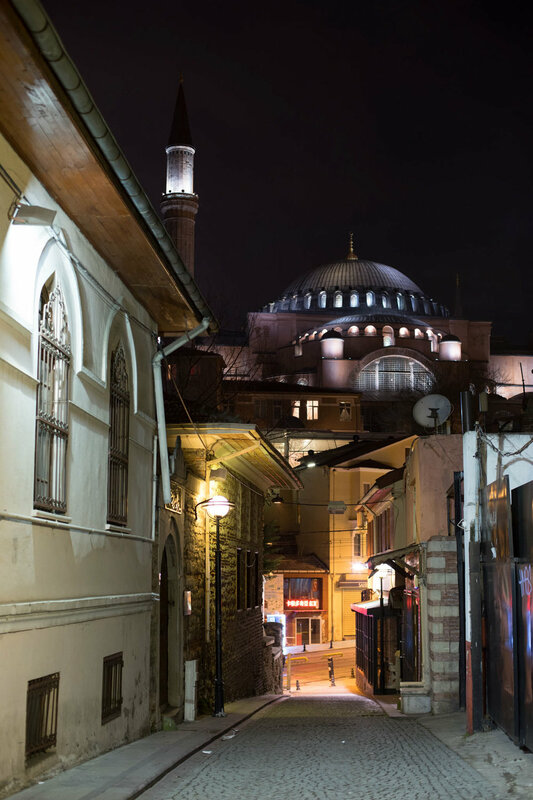 For more info on what to do in Istanbul, check out my 36 hours in Istanbul post. But, hopefully you choose to stay longer in this magnificent city!